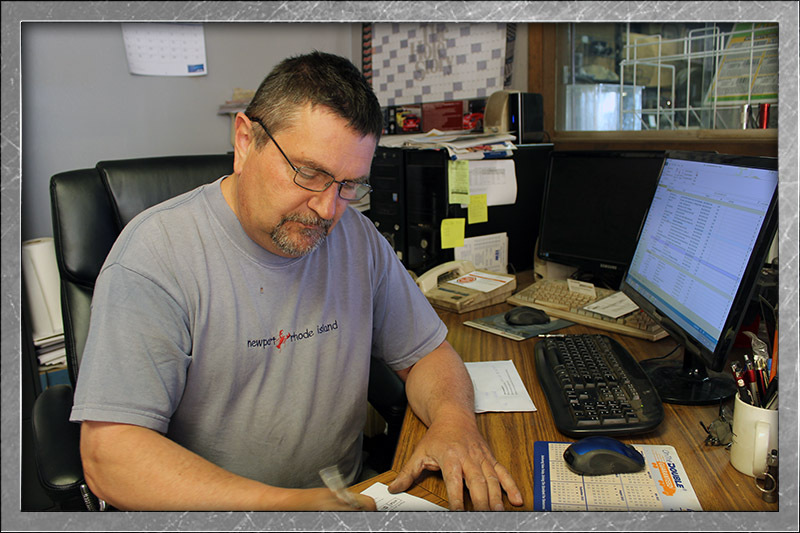 Sorem Manufacturing Company Incorporated is a local leader in wire manufacturing. We manufacture point-of-purchase displays, literature displays and screen guards for aeration fans using wire and sheet metal to meet our customers' needs. Many of our customers will bring us an idea or their product and utilize our in-house design and prototyping department to come up with an aesthetically-pleasing, cost-efficient prototype before going into full production. Packaging the completed displays and having them ready to send to your customer is another service we provide. We understand all great products and ideas have to start somewhere. Sorem Manufacturing will work with you from the beginning all the way to putting your product in every big chain store across the country. Of course smaller quantities cost a little more to make than large quantities but you will find our prices very reasonable. Do you have a corporate color? A favorite color? 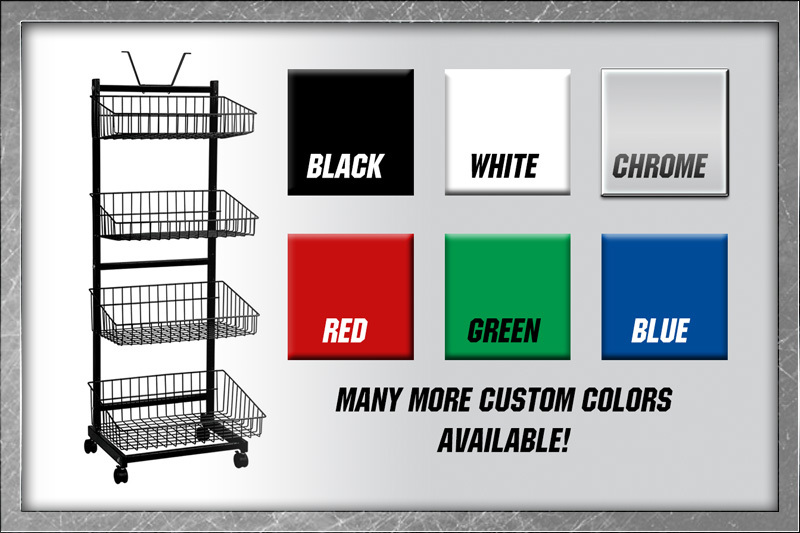 Our preferred powder coating shop has an incredible selection of colors and does a fantastic job. How about chrome? It’s hard to go wrong with a shiny display to make your product stand out. Need a durable finish for an outdoor or harsh environment? Zinc plating is also available. 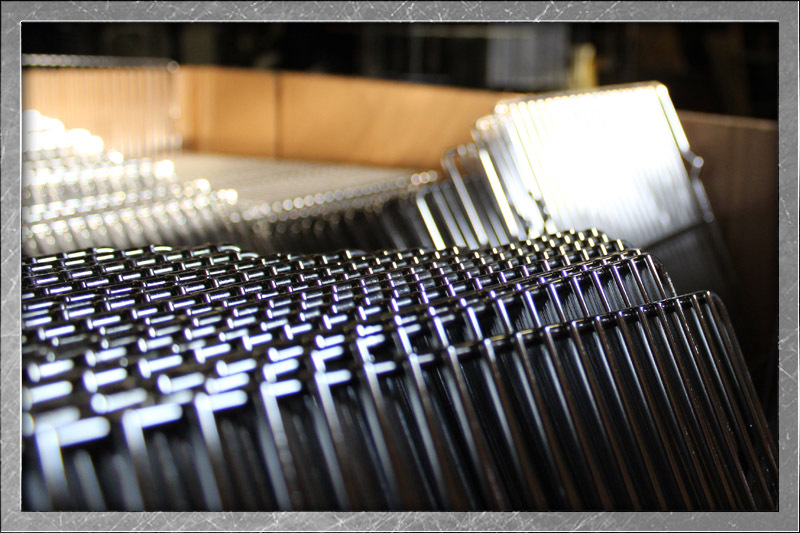 We do have customers with their own coating facilities, so uncoated is certainly an option.